A year-round essential, our best-selling t-shirt has been voted 'most popular' by groups, teams, clubs and schools across America. 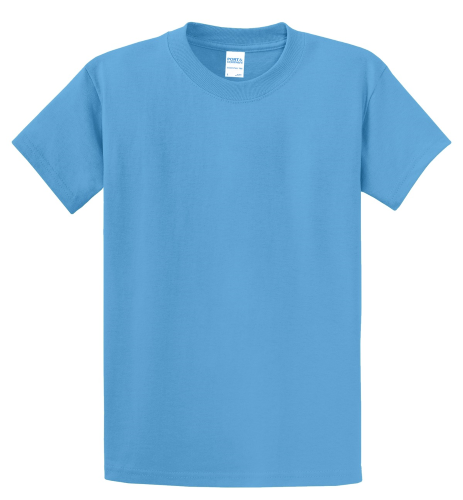 Heavyweight 6.1-ounce, 100% cotton (preshrunk). Shoulder-to-shoulder taping. Cover-seamed neck. Double-needle hem. Ash is 98/2 cotton/poly. Athletic Heather is 90/10 cotton/poly. Dark Heather Grey is 50/50 cotton/poly.